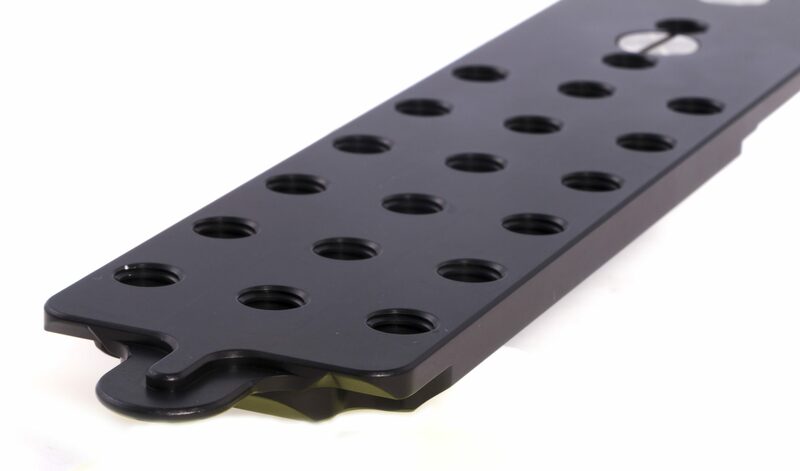 Arri Alexa Steadicam bottom support base plate. Lightweight and extremely low profile. Mounts directly to the bottom of the Arri Alexa with 2 bolts and slides into the hot-shoe at the back end of the camera. 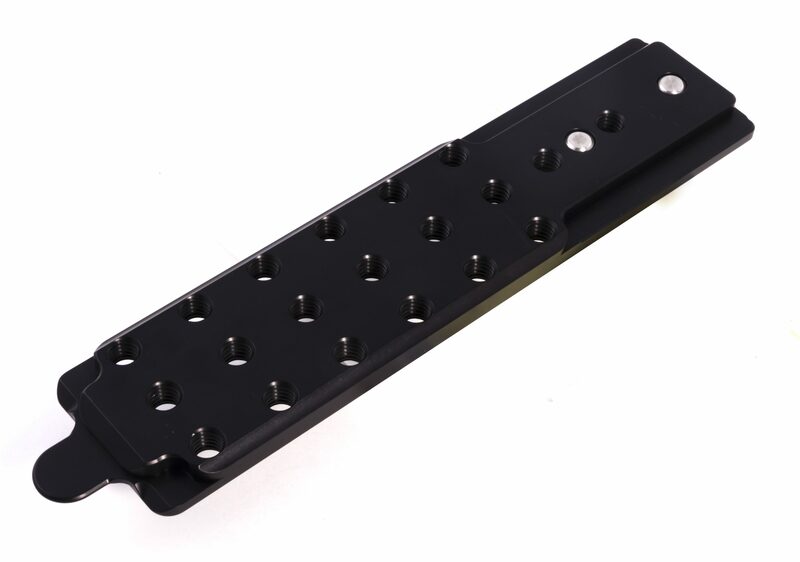 Has many 3/8-16 holes for steadicam-plate mounting. Box dimensions: .4 x 2.13 x 9.63 in.